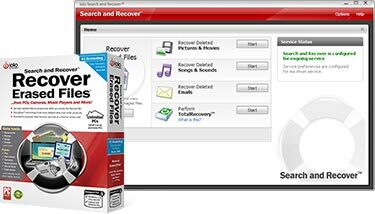 Option to run Search and Recover directly from CD for maximum recovery and to prevent potential damage*. *Available in retail CD version only. “I lost important family pictures and had tried several other products without any success. I’d almost lost all hope when I found some info online about your product. I was able to recover EVERY lost photo.”-Judy W.
“All of my experiences with iolo personnel or products have been positive and easygoing. There’s nothing too big for your customer service and technicians to tackle. Thanks!”-Ann R.
*Features subject to change without notice. See www.iolo.com/eula for details. Offer Details: Certain product features require ongoing updates from iolo. One year is included in the initial purchase. After this initial period expires, you must renew to continue to receive access to such features. You may enable automatic renewal during checkout and update your automatic renewal preferences by logging into your iolo Account. See Sales Policy for more details.